The fifth largest soft-drink company in the U.S., National Beverage Corporation approached Squeaky looking to revamp their corporate site. 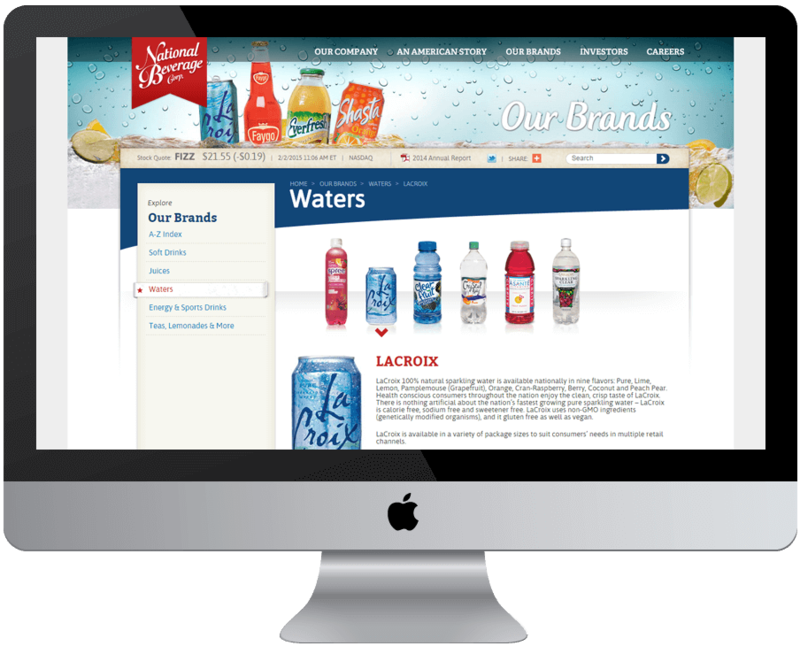 In order to meet the business’ objectives, Squeaky needed to create a new site that would heighten the brand experience by providing a platform highlighting National Beverage’s extensive portfolio as well as company information. Our goal is to entice site visitors to explore the National Beverage brand and culture through interactivity and visual cutes that are simple and intuitive. With a plethora of brands beneath the National Beverage umbrella and a history deep-rooted in American culture, Squeaky helped National Beverage to establish a refreshing and fun yet professional web presence to appeal to both consumers and investors. 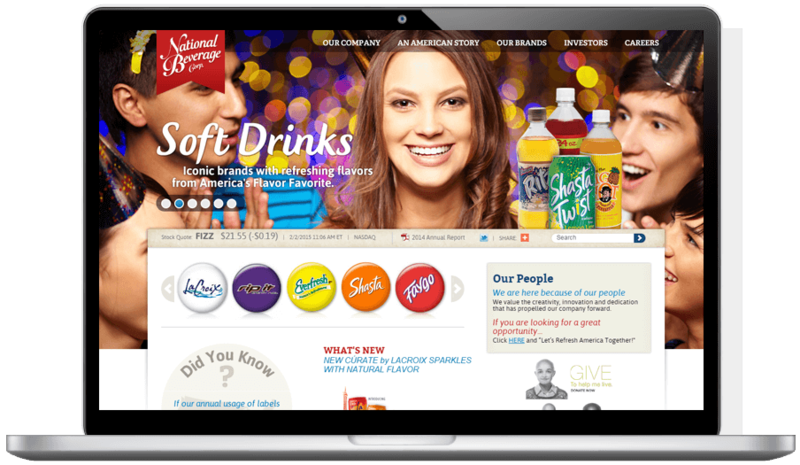 The new site helps reflect the National beverage offline experience and trust online and reinforces their mission to supply families throughout the U.S. with refreshing products that promote wellness and deliver unmatched flavor, variety and taste.